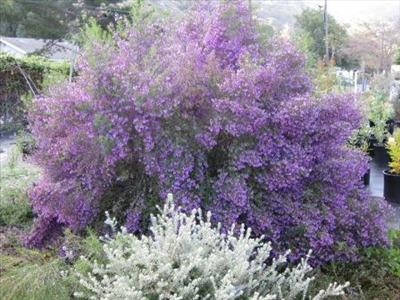 Handsome erect shrub 6-7', scented foliage and profuse purple flowers in spring. 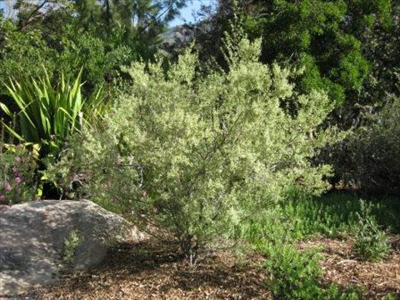 Tolerates heavy frost, full sun or partial to heavy shade. Likes summer watering in California. Prune for bushier growth. 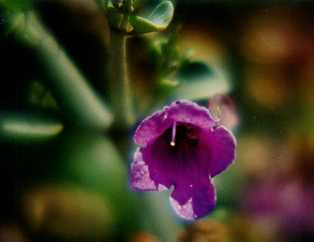 Fast growing and excellent screen plant. Good indicator plant for when garden is dry. Likes protection from strong winds.